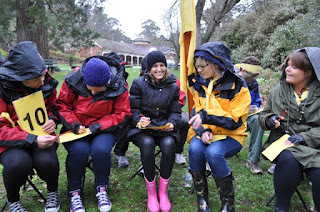 Last week we were scheduled to run an outdoor Survivor team session in Daylesford. The weather forecast was for rain, hail and snow. The air temperature was 5 degrees and unlikely to get warmer. We had come prepared to run an indoor program yet the client chose to run the session outdoors. The weather forecast was accurate and the rain was constant. Despite the freezing conditions, everyone had a great time. 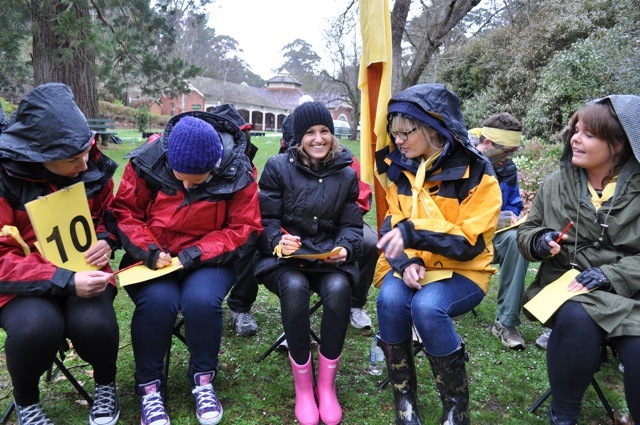 For the last eight years the client had run team building sessions in winter and the group were prepared for adversity with some even wearing gum boots.